Valencia offers delights for visitors that go beyond the terraces and good weather or even the Turia’s Gardens and the City of Arts and Sciences. 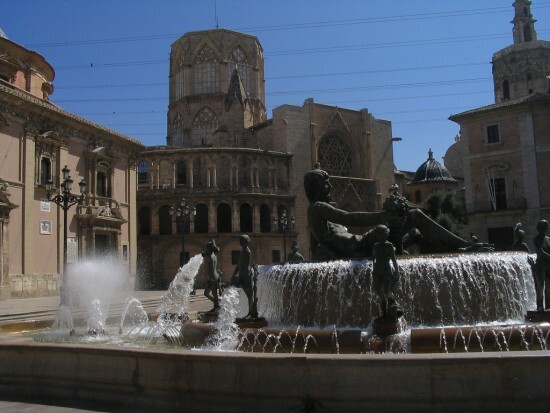 In its historic city center historic pieces of very high religious value are treasured as relics of the Cathedral of Santa Maria and above all the Holy Grail. Internationally known as the Holy Grail, dating back to the 1st century, it is supposed to be the Cup that Jesus used at the last supper, according to the Christian tradition. Located in the Chapel of the Holy Chalice, the Holy Grail is a cup of polished agate whose origin is oriental. It is at the beginning of the middle ages when the piece acquires fame and mythological tones when mixed with ancient Celtic legends about a divine pot, thanks to the Arthurian novels about King Arthur, a fictional character who characterized English and French literature for centuries. We have seen dozens of films that have as a main topic the pursuit of this object; Can you remember for example Indiana Jones and the last crusade? In it the Holy Grail was the precious treasure pursued by the hero. We are sure that the Da Vinci Code is also a book that sound familiar to you. Intereuropa school, located in the historic centre of Valencia knows that the city has unique attractions, such as this, and emphasize them to let their students from all over the world learn about them. Leaving aside the legends around this piece, facts reveal that it arrived in Valencia thanks to King Alfonso the magnanimous in 1436 as part of his Royal reliquary. It is said that, after the last supper, St. Peter kept the Cup and took it to Rome where it was saved by the Popes until Saint Sixto II sent it to Huesca. During the Muslim occupation the Grail was kept safe in the Pyrenees until it was rescued be Alfonso the magnanimous. A walk through the inside of the Cathedral deserves you a few more surprises. Consecrated in the 13th century to the Asunción of Santa Maria by desire of James I the Conqueror, built on the ancient Visigoth Cathedral and mosque, it holds another particularly stunning piece: uncorrupted arm of “San Vicente”. 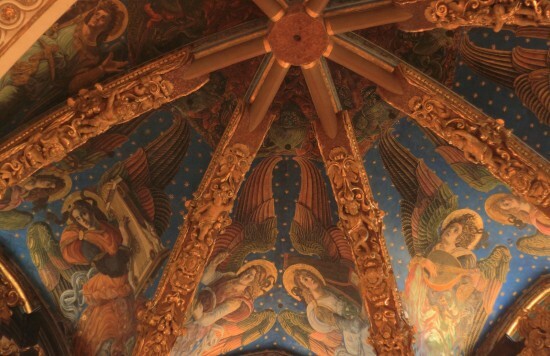 But the most appreciated heritage are the Renaissance frescoes of the main altar, or the best paintings of the 15th century (the early Renaissance) in the Peninsula, brought from Rome by the Valencian Pope Alejandro VI, of the lineage of the Borja. 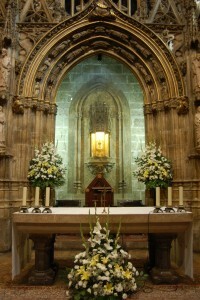 The architectural predominant style in the Cathedral of Valencia is the Gothic, although it has parts of Romanesque, Baroque and neoclassical. When you explore its corners is like a journey into an atmosphere of another time but some of the most interesting stops, as the ascent to its Tower, the popular Miguelete, the Door “de los Hierros” and the door “de los Apóstoles “ or the Palace of the Almoina, keep intact its freshness.